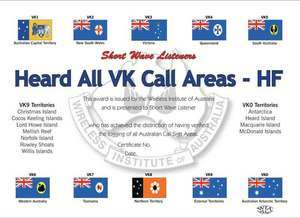 This award is available to all Short Wave Listeners who submit evidence of having heard the required number of VK's in each call-area on HF. 1. 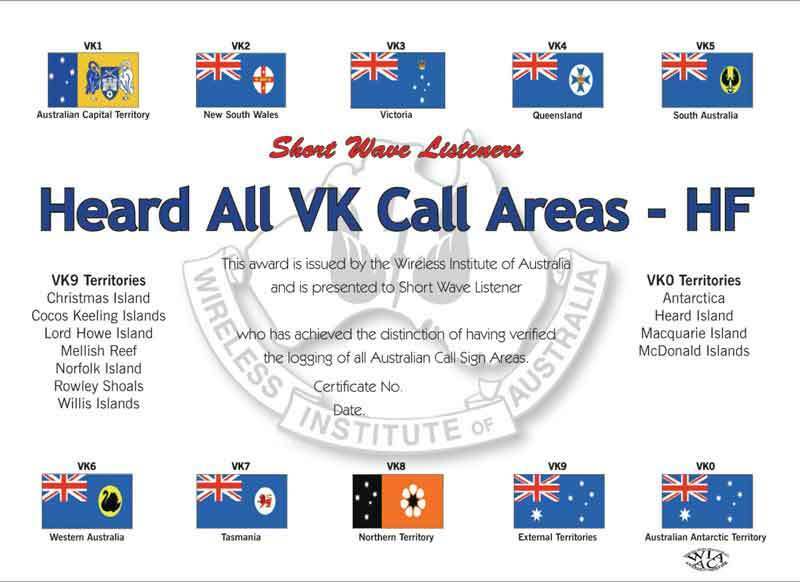 The HAVKCA-HF award is available to all Short Wave Listeners who submit evidence of having heard the required number of stations in Australian states and territories. • Requires a minimum of 22 QSO’s for this award. • General rules also apply. 4. All QSO’s must have been made since 1 January 1985.
d. Physical QSL Cards must be verified by one licensed amateur using the "Verify Paper QSL" function. If requested by the WIA, the QSL cards must be forwarded to the Awards Committee for checking. Do not send QSL cards with application. c. Contacts made via any other means are not acceptable, such as cross-band, via a repeater, airborne, IRLP, or any other means that is deemed to be unacceptable by the Awards Committee.